Engineers and design pro­fessionals know that the fastest way to model a part is to download it. Demand for 3D CAD models is growing rapidly. If you are a component supplier, you know that providing your customers with detailed 3D product information in multiple CAD formats is key for your products to be selected right at the design stage. When your 3D product models are selected and downloaded into your customer’s designs, 88% of those products are subsequently purchased. Our online 3D product catalog publishing solutions will increase your customers’ retention rate, generate highly qualified sales leads and boost your sales! 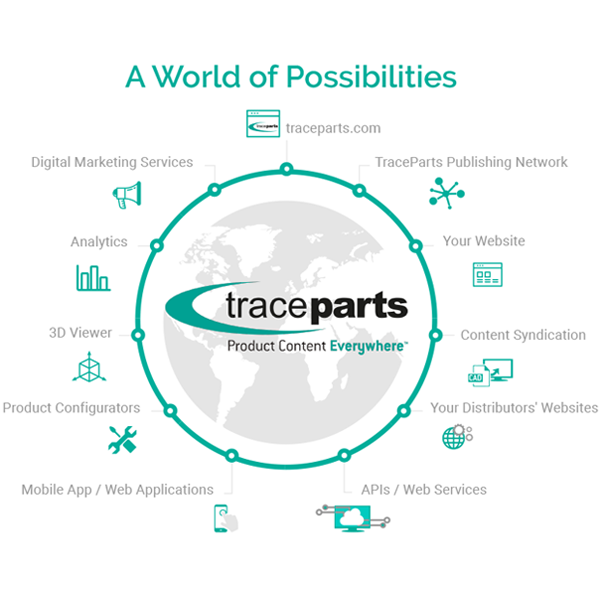 Join hundreds of companies who have already published their 3D product catalogs with TraceParts.